Crying that lasts more than three hours a day and continues for more than three weeks regardless of how many times a week it occurs. Swaddling - Wrap the baby snugly in a receiving blanket. This will provide continuous contact and support which the baby experienced while inside the womb. Side/Stomach Position - Place the baby, while holding her, either on her left side to assist in digestion or on her stomach to provide reassuring support. Once she is sound asleep, you can put her down in the crib on her back. Shushing Sounds - These sounds are referred to as "white noise" which imitate the continual whooshing sound made by the blood flowing through the arteries near the womb. This noise could be from a vacuum cleaner, hair dryer, or electric fan. Or you may opt to buy a white noise CD. Swinging - Babies are used to the swinging motions while inside the womb. When the baby is born, this soothing motion is abruptly taken away. Rocking, swaying, car rides, or other swinging movements can help calm the crying baby. Sucking - Sucking triggers a calming reflex and releases natural chemicals within the brain. Offering your breast, a bottle, a pacifier or even your finger should do the trick to pacify a crying newborn. Because these activities mimic babies' experiences inside the womb, doing these can help most babies sleep an extra one to two hours at night. These techniques may seem easy to do but parents must incorporate lots of patience as they try different calming techniques and avoid making the crying worse by impatiently switching from one calming intervention to another without waiting to see how the baby responds. 1. I wish to see continued improvement and development in my child's physical, emotional, academic, behavioral, and mental function. 2. A house. My husband and I are hopeful that we could finally purchase our own house this year (God willing). It is not easy living in an apartment when your neighbors are mostly retirees. There are times when my children make a lot of noise when they are playing and instead of letting them have fun, here I come telling them to stop because they are starting to be disruptive. BOO.... Of course it isn't fair. I want my children to enjoy their youth and I think living in our own house means my children will feel more safe and comfortable. 3. Start my internship. I've been a stay-at-home mom for almost seven years and I really miss being part of the work force. And so I wish that this year God will allow me to go back to work for my sanity's sake and to be able to help my husband provide a better future for our children. 4. A big kitchen. Lately, I have been addicted to baking. Our kitchen has a very small work space so I would like to have a BIG kitchen with lots of work space so I could start baking birthday cakes for the entire family. 5. Air brush make up apparatus. I've only tried air brush make up twice....during our pre-nup shoot and on our wedding day and I must say that I really liked the almost perfect finish look I got. It isn't sticky. It does not cake. And to top it all, it can last for more than twelve hours without touch ups. How great is that? 6. Lose weight. I know I'm not obese nor over weight but I still do want to shed the extra pounds I gained during my last pregnancy. I'm just trying to lose the last 10 lbs post pregnancy weight but the stubborn weight doesn't want to go away. I hope I'll be lucky to do it this time. I think those are all the things I want to have in my life for now. Do you also have a wish? It's only a few more hours before we say goodbye to a year full of tragedies. A couple of weeks ago, the Philippines was hit by typhoon Sendong. Crops and infrastructure were destroyed. A lot of lives were lost. Many young children and elderly died. Those who are lucky to survive this calamity on the other hand have nothing to eat nor drink. They even have no clothing to protect themselves against the cold nights. My husband and I used to donate used clothing and blankets to typhoon victims when we were still in the Philippines. Now that we are in another part of the globe, we still managed to find a way to help the victims of Sendong. Last night we took part in a fund raiser headed by a Filipino community in our place with the cooperation of a Chinese restaurant owner. The owner promised to donate half of the bill incurred by the participants. Apart from the donations (monetary and in kind), there was also a raffle which raised quite a decent amount. May all of us be an instrument in bringing new hope to others. Have a blessed new year my fellow bloggers! Temperature starts to drop. Snow flakes start to fall. Malls are crowded with people trying to get the best bargain for the items they are planning to give to their loved ones. There is no doubt that Christmas is just around the corner. When I was a young kid (not so long ago :)) I regard this season as a time for family gatherings. Around this time of the year, almost every family holds their family reunion. People take advantage of this merry celebration to catch up on each other's life or for each member of the family (especially the distant relatives) to get acquainted with each other. Usually there will be games not only for the young ones but also for the young at heart. Of course a family affair held during Christmas will never be complete without exchanging gifts. As I grew toward my teenage years, I wonder why people exert too much time and effort planning on what food they are to prepare for Christmas eve and buying things for their loved ones and for themselves as well. Isn't it the time we should reminisce what truly happened on that night thousands of years ago? Have we all forgotten what Christmas is all about? May we be always reminded that this season is all about the coming of Christ. 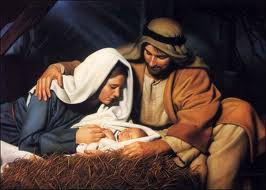 It was the time when Jesus was born so that we may have an eternal life. A couple of weeks ago I had my physical exam. It was mainly for health insurance purposes. It has been three years since I have seen my doctor and because there are some things I want to discuss with him, I decided to take advantage of that visit and find answers to the things that keep me worried. He ordered lab tests to check my blood, urine, vit. D, thyroid hormones, kidney and liver function. When the results came out, I learned that I am vitamin D deficient so he put me on a vitamin D supplement. That did not come as a surprise since I really do not want to be out in the sun because of my overactive melanin (hello freckles!!). This PE made me realize that we should be taking care of our health seriously. And so, I thought of listing down important measures we must take to keep us healthy. 1. Get outside everyday or as much as you can. Vitamin D is vital for our bones' health and we can get it naturally from sunlight. Exposing our skin, without sun screen, to the sun for at least 15 minutes a day coupled with eating foods that contain vitamin D should be enough to get our daily dose of the vitamin. Drinking water helps our kidneys to function well and eliminate toxins from our body. It also keeps our skin hydrated to make it glow naturally. One half of your body weight in ounces is a great place to start. There is even an app that reminds you to drink water so if you are a smart phone owner, you can install this app for free. Doing a 30-60 minute low impact exercise like walking and yoga everyday can get your circulation to move nutrients in and toxins out. 4. Take at least 100 deep breaths a day. Deep breathing massages your heart, calms your nervous system, and increases your energy. 5. Make healthy eating choices. Eat food but not too much. Munch on food, mostly plants. Remember to eat in a calm, relaxed atmosphere. Enjoy your meal and don't forget to chew. Do not be in a hurry. Chew your food for 20 seconds before taking another bite. 6. Get at least 8 hours of sleep every night. If you do not get enough sleep, your alertness, productivity, creativity, and general health are all affected. I hope this list will help you start a regimen that would be beneficial to you health. Not so long ago when I was in my toddler age, my nanny used to bring me to a neighborhood park a couple of blocks away from our house almost every afternoon. It was just a humble park with a big slide and around four swings. One day I came home with a scratch on one of my knees and since then I was forbidden to go to that park again. What my mom did was purchase a huge swing set so I and my brother don't have to go elsewhere to play. And since we have a very protective set of parents, we were only allowed to play with our friends/neighbors on the condition that our friends will come over to our house and my siblings and I will never step out of our gate. It was our friends who introduced us to pretend play. We usually portray roles of each member of the family. The eldest girl takes on the role of the mom who stays home and looks after the kids. The eldest boy is the dad who goes to work and comes home at night. The rest of the kids play the part of the children, the nanny, and the driver. Often times we use leaves or flowers from our garden as ingredients for the pretend food we make. At that time all I know is we are just playing and having fun. However, now that I am a mom, I learned the true meaning behind play. Of course children play to have fun. But that is not the most important reason why we should encourage our children to play. By observing how kids play, I learned that play helps children grow in more ways than one. 1. Playing outdoors keeps children fit. Most kids, if not all, love to run. So while they are playing tag or just running in the playground going from one structure to another, they are unaware that they are having a good form of exercise by burning calories. Another benefit kids get from playing outdoors is that they get their natural dose of vitamin D from sunlight. We all know that vitamin D is essential for the absorption of calcium, thus making our bones strong and saving us from getting rickets. 2. Playing improves children's motor skills. Every time kids play tag, jump rope, or play in the playground, they are helping themselves by improving their gross motor skills. These activities entail the use of their arms and legs such that each time they try to climb up the slide, their arm and leg muscles are working together for better muscle coordination. If, on the other hand, you have a child who likes to draw or color/paint, or is just plain crafty, he/she is still having a therapeutic form of activity my enhancing his/her fine motor skills. 3. Playing enhances social skills. Giving toys to your child and having him/her sit and play with it is not enough to help his/her social growth. As a parent, it is our responsibility to teach our children how to make friends. If we bring them to a playground or simply allow them to have playdates, they are developing the ability to interact with their peers. Not only that, as time goes by they learn problem solving skills by knowing what to do when some circumstances happen. For example, while your toddler is playing with his friend, his friend suddenly snatched his toy from him. Your toddler's initial reaction is to cry or shout at his playmate in hopes of getting the toy back. But as your toddler grow older and more mature, with your guidance, he will start to think of a more diplomatic way on how to have his toy back like using words instead of crying (i.e. I am not done playing with it. May I have my toy back?). Or he could just simply ignore the act and find other toy to play with. 4. Playing expands imagination and vocabulary. I am always amazed at how kids use a lot of verbal skills while playing. Every time I bring my toddler to a playschool, I see older children gathered at one corner pretending to cook something for lunch in the toy kitchen. They seem to be infused with a lot of ideas on what ingredients they should put in and how they are going to cook their food. I even remember one girl asking another girl if she wants to taste the banana soup she made. There are many more benefits your child can get from playing other than those I provided. Bottom line here is let your child engage in interactive play rather than having him/her play all by himself/herself or play video games. If by chance, there is no other kid in your household your child can play with, then by all means do the honor and play with him/her. So what are you waiting for moms and dads? Go to the playroom and pretend play with your little one or head out and go biking. The most awaited Stuff-and-Save promo from Old Navy is back! All Old Navy card holders can take advantage of a 30% discount on purchases using their ON card thru November 3rd. Since I like buying everyday clothes from ON, I took advantage of the opportunity and went to their store last Friday. I was thinking of buying a wool-blend coat but decided against it because I didn't like the cheap plastic buttons. So I just bought a couple of thermals, four leggings and sweater dress for my little girl, a pair of ski gloves and two pull-over sweaters for my boy. Not only did I save almost $100 from my purchase, I also got a $30 certificate from their SUPER CASH promo which I can redeem on the second week of November. Now that is what I call a sweet deal.